One of the Micro Grant recipients is Boston Square Community Bikes, a Grand Rapids organization that promotes sustainable, affordable transportation by refurbishing donated bicycles for sale, helping neighbors and others learn about bikes and bike repair, and providing space for anyone to work on their own bikes. Their Micro-Grant was awarded to support their youth Mechanical Apprenticeship Project (MAP). Thank you to Tom Bulten from Oakdale Neighbors of Grand Rapids, MI for telling their story. “Bringing a battered bicycle back to life takes creative thinking and perseverance. 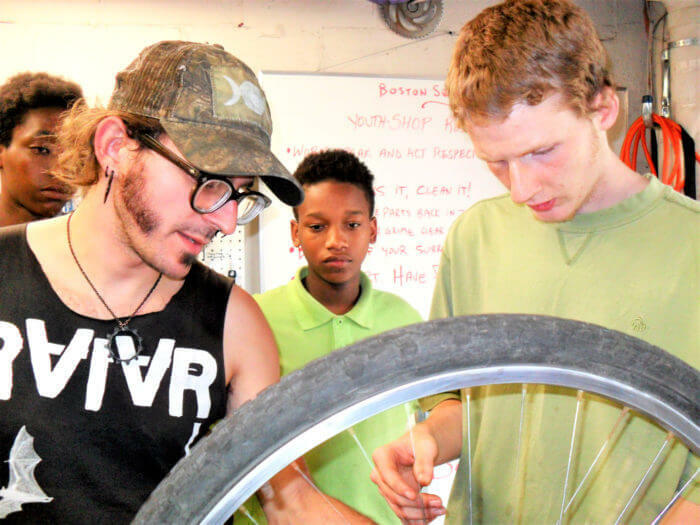 These are the important life skills being learned by young apprentices at Boston Square Community Bikes. 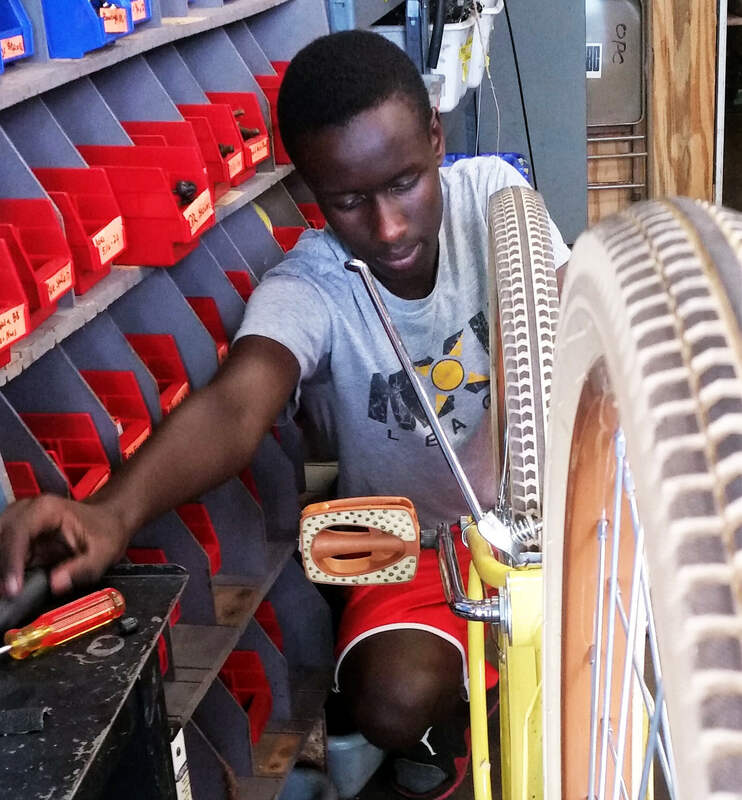 Myles Moylen and Philemon Tumusimu have spent two months in the Youth Mechanical Apprenticeship Program learning basic bicycle repair skills and valuable life lessons. Both Myles and Philemon live in the neighborhood. Myles rode his bike to the apprenticeship every Thursday afternoon. Philemon simply walked across the street. With the staff of Boston Square Community Bikes they worked on resurrecting a beat-up, blue Magna “Great Divide” bicycle that had been donated to the program. Boston Square Community Bikes performs life support on many lower-end, “department store” bikes. These can serve as affordable transportation for those that need to get to work or other places. Yesterday, Mitchell called Boston Square Community Bikes desperate to find a bike to get him to work. He had only $30 and would be fired from his job if he didn’t arrive at work by 4 PM. He left the shop with a bike refurbished by program volunteers and staff.